As the Summer season winds down in Myrtle Beach, locals and visitors alike look forward to all of the hustle, bustle, and excitement of another festive holiday season at the beach. If you've planned your late Fall beach escape for the second week in November, then you have to experience the immersive events to be found at the 36th Annual Dickens Christmas Show and Festivals. Taking place at the Myrtle Beach Convention Center, from November 9-12, this event is sure to bring out the inner child in us all! The Dickens Show and Festivals get started on Thursday, November 9, 2017 from 9 am. to 6 pm. The hours for Friday and Saturday are 9 am. to 8 pm., and Sunday's events will take place between noon and 6 pm. The event is named after the English writer, Charles Dickens, who penned many great works including holiday favorite, A Christmas Carol. Be prepared to be transported back in time to Dickens's Victorian England Christmas marketplace, where countless vendors will set up shop to offer up everything from jewelry to toys to arts and crafts and much more. The 100,000 square ft. exhibit hall will be decked out in holiday decor and will feature Strolling Victorian Musicians, Tea Leaf Readers, Punch & Judy Shows, and Shadow Box Displays. Additionally, this year, kids of all ages, from 1-99, will love experiencing the Life Size Santa Through the Ages Exhibit, and there will also be an appearance by Jolly Old Saint Nicholas himself. Wander throughout the convention exhibition area to find elaborate festival displays of trees, decorated tables, and hand-crafted wreaths. A silent auction will be held for all displays, with 100% of the proceeds going to the sponsoring non-profit organization. Outside of the convention hall, off-site events will also be available, including Victorian Holiday Teas, Sherlock Holmes Murder Mystery Dinners, Historical Tours and the opening of Holiday Shows at local theaters. If you're interested in the Victorian Tea Services, you have the option of either High Tea or Luncheon Tea, both of which take place in a period Holiday setting with Victorian-era performers adorned in authentic Victorian fashion. After tea, guests will have the privilege of watching a one-man performance of A Christmas Carol by Howard Burnham, a fellow of the Royal Society of Arts of London, England. Make a new holiday tradition for yourself and your family and friends by booking a fun-filled and delicious Tea Service during the Dickens Christmas Show. Luncheon Tea will be served on Friday and Saturday from 11:30 am. to 2 pm. at a cost of $35 for adults and $22 for children, and High Tea will be served on Friday from 3:30 pm. to 5 pm at a cost of $27 per person. You will feel like nobility when you participate in either of these spectacular tea services. Holiday tours will take place on Thursday and Friday, with more details being announced in the upcoming weeks. Tickets to the show can be purchased at the door or online, with single day passes costing $10 for adults and $4.50 for children. If you want to spread the fun out over the weekend, multi-day passes are just $14. 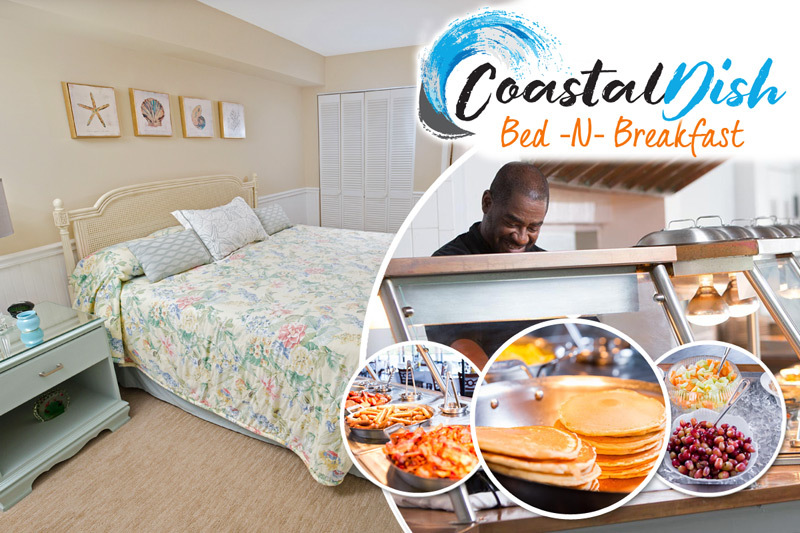 With the holiday season just around the corner, take advantage of great Myrtle Beach condo rental deals, fabulous cooler weather, and tons of shopping experiences, including the Dickens Show and Festivals. By the time you get home, you will be ready to deck the halls and adorn the tree!